Hell, Vince McMahon even won the Royal Rumble one year. Literally, anything can happen and anyone can come out at the Royal Rumble. Now usually, whomever wins the Royal Rumble match, goes on to the main event at Wrestlemania for a shot at the title. That’s how it’s been done for a long time, but this year is very different, due to a variety of circumstances that has come up in the WWE. Five of WWE’s biggest stars are out on injury, including John Cena, Daniel Bryan, Randy Orton, Cesaro, and the former WWE Champion Seth Rollins. That’s a big blow to the WWE, and still is as these superstars are recovering from their injuries. And it certainly put the WWE creative team in a pickle to rush out new story lines for everyone. It’s no surprise to anyone that WWE wants Roman Reigns to be the new poster child for the WWE on the “good guy” angle, but since Roman won the Royal Rumble last year, people started losing interesting in him, because the WWE moved him up in the ranks too fast. Since then Roman has seen the WWE championship in and out of his hands, even one time holding the belt for five minutes only. It wasn’t until recently that the WWE universe started to back Roman Reigns again, which is mostly due to Vince McMahon and family trying to screw over Reigns any chance they get, which brings us to the 2016 Royal Rumble. Usually, the current champion will have a singles match with one other person at the Royal Rumble, but Vince McMahon put Reigns into the Royal Rumble as entrant number one and put his title up on the line. This is an insane move, because now one of 30 wrestlers could win the WWE Championship tonight, and basically making this Royal Rumble a Roman Reigns vs. Everyone match for his title. Now there are several scenarios for how this match will play out, because this will more than likely determine the headlining match for Wrestlemania 32 here in Dallas. There are two very likely scenarios that will happen tonight during the Royal Rumble match, and I will discuss them here. A month or so ago, Roman Reigns snapped and finally attacked Triple H for making things almost impossible for him on every episode of Raw and Smackdown. Triple H “suffered” some injuries and has not been around or on television since. Vince McMahon and Stephanie have been the big heels of the company since. This has given Triple H several weeks to “heal up”, practice and train in the ring, since he doesn’t really wrestle anymore. And it would be the biggest heel move and push Roman Reigns to the top of the “good guy” card if Triple H was the number 30 entrant and beat the number 1 entrant Roman Reigns for the title, which would give Triple H the Championship for a few months and finally have Reigns win the title one the biggest stage in WWE, at Wrestlemania 32. I’m not entirely sure this will happen, but it’s a great bet. Hell, it can even be Vince McMahon that puts himself in the Royal Rumble to beat Reigns. Stranger things have happened, and you have to remember, Vince has won the Royal Rumble before. The point is that either Triple H or Vince will be entrant #30 or even a surprise entrant #31 and team up on Roman to strip him of his title. The other very likely scenario would be that Roman Reigns will indeed win the Royal Rumble yet again. It’s entirely possible and the way the WWE has been showcasing Reigns as of recent months, they want to show that he is unstoppable and the true underdog (even though he’s a beast). I’m not 100% sure, but if this happens, the WWE universe will not be happy about it, and he may never recover with the fans, because the fans don’t want a John Cena version 2.0, and they feel like Reigns still needs more time to take on the championship, let along win back to back Rumbles. Like I said, stranger things have happened, but this would be a dumb move. There are three other somewhat likely scenarios here. 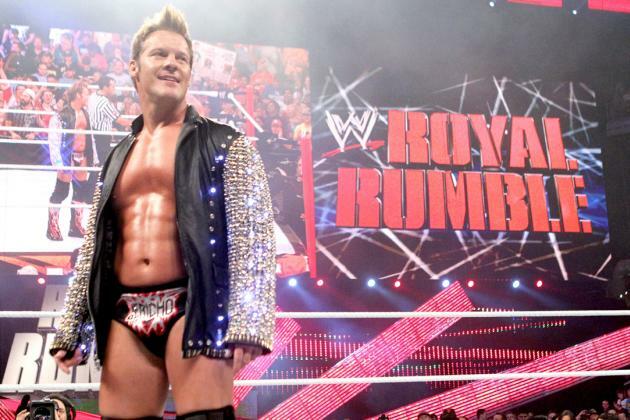 As of a month or so ago, Chris Jericho (Y2J) came back to the WWE and has mostly dominated. If you’ve ever seen a Royal Rumble match with Y2J, you would know he basically stays in it till the very end, every damn time. He’s that good. Also, he’s been touting on television that he’s back in the WWE for a while now, however he is a “good guy” this time around and not his signature “heel” persona. The crowd likes him either way, but I can’t see Y2J winning the Royal Rumble as a “good guy”. 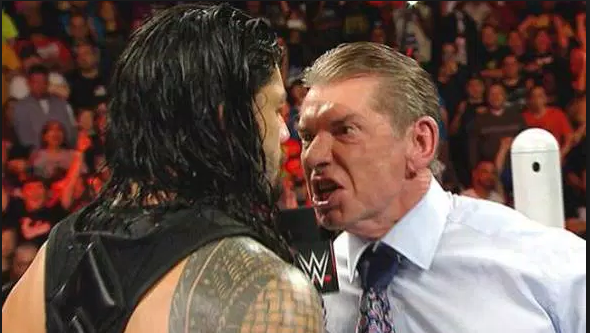 That being said, if he turns heel during the match, he could very well start a feud with Reigns, as he might align himself with the Authority (The McMahon Family). It’s not that likely, but again, anything could happen. Another somewhat likely scenario that could happen tonight is that the Wyatt family (mainly Bray Wyatt) could win the Rumble tonight. Over the past couple of episodes of Raw and Smackdown, Bray and his three large brothers have attacked the big name superstars in the ring, including Roman Reigns and even Brock Lesnar. This could very well happen at the Rumble, as there are a few superstars left at the end of the match, and Wyatt and his brothers appear again and take out the “good guys” or win the Rumble for one of their remaining brothers inside the ring. 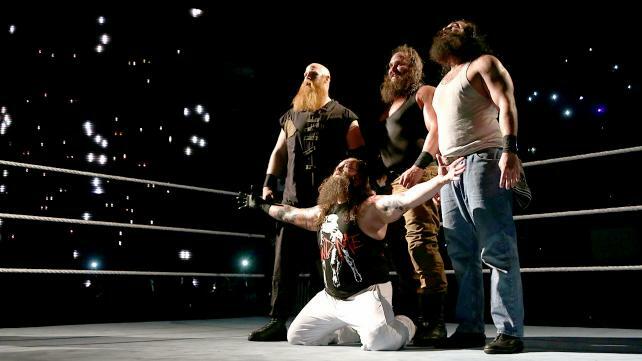 The Wyatt family story line as of recent is to destroy the big guys on the Wrestling roster, however, when push comes to shove at the big PPV events, they almost always lose. 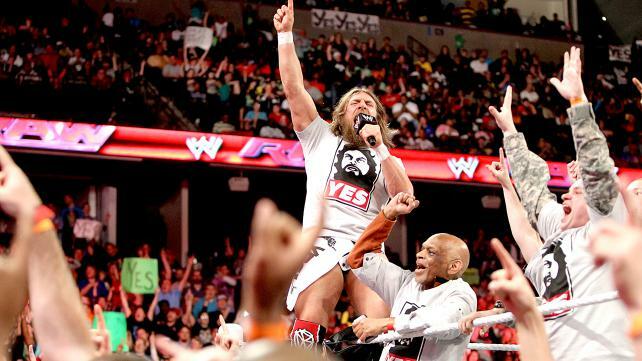 This wouldn’t be a good thing for WWE to do creatively, but it could happen. 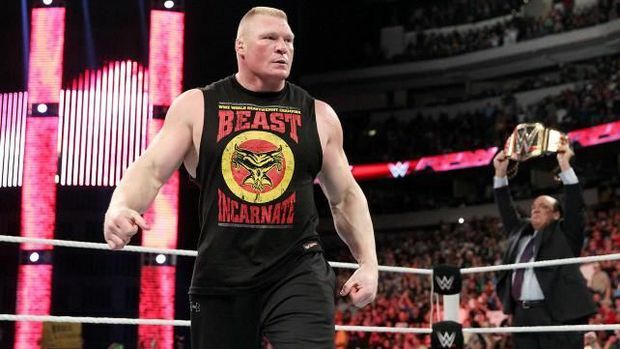 Another scenario could be that Brock Lesnar could win. I mean, he definitely should win it in real life, but this is wrestling. If this happens, it would just mean yet another rehash of last Wrestlemania’s main event, which was Roman Reigns vs. Brock Lesnar. If Brock wins here, he would keep the title until Wrestlemania, where Reigns would win it. Lesnar doesn’t side with anyone though, other than himself, leaving him out of the Authority’s sights and siding with any “good guy”. Lesnar is a complete and separate entity from anyone else. The McMahon family could have rigged the entrants to have Brock enter at #30 just to spite Reigns, but that’s unlikely. Lesnar could very well win this Rumble and become champion. Then there are some less likely scenarios that would be very fun to see play out, but probably won’t happen. One of these least likely scenarios would be if Big E from ‘The New Day‘ won the Rumble, giving the ever popular New Day both the tag team champion belts and the WWE Championship belt. Big E certainly deserves it, for he is an incredible wrestler, a powerhouse in the ring, and good on the mic. 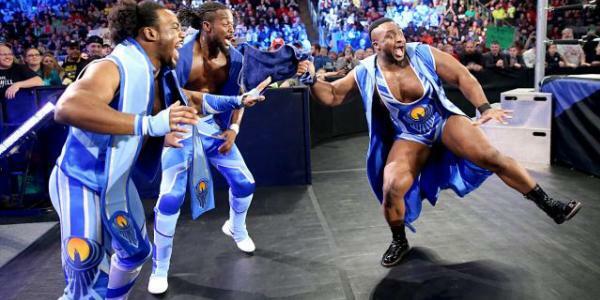 This would also allow The New Day to keep their momentum and cheat to win at every match, pitting Reigns and Big E at Wrestlemania 32 with the New Day in Big E’s corner. It would be insanely fun to watch, but it isn’t very likely. In a scenario that really nobody wants to see, is that Sheamus and his League of Nations wins the Royal Rumble, giving Sheamus the title yet again, and Roman Reigns having to fight Sheamus….again. This time with Rusev, Wade Barrett, and Alberto Del Rio in Sheamus’s corner. We’ve seen this storyline over the last several weeks, and was met with fairly negative fanfare. If WWE goest this route, it won’t be fun for anyone, but the good thing is, this is a very unlikely scenario. And perhaps the most FUN scenario, but the most unlikely scenario to happen could very well be the best thing in the WWE in quite a long time. We all know The Rock has signed on to come back to Wrestlemania. We have no idea if he will just make an appearance or will actually wrestle. He could very well show up in tonight’s Royal Rumble match and could do very well, that is until Stone Cold Steve Austin appears out of nowhere and takes out The Rock from the Royal Rumble, leaving a big feud between Rock and Stone Cold Steve Austin at Wrestlemania 32. 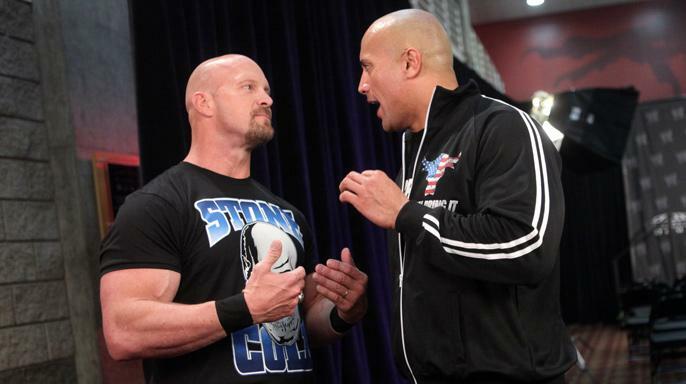 I know it’s very far fetched, but it could very well happen as there has been talk that Stone Cold will be at Wrestlemania 32 in some capacity, and what better way than to re-ignite one of the better feuds in WWE history. I know I’m ridiculous, but this could be insanely fun. There is also a chance that Shawn Michaels could show up in the Rumble as well, since Wrestlemania 32 could be his last hurrah and big match, since it’s set in Texas – his home state. I don’t think it will happen, but it could. Also, there has been a lot of talk about Kurt Angle coming back to the WWE. Could this be his night to make his WWE comeback. If it is, consider me the happiest guy in the world. We could also see Rey Mysterio return and put up a good fight. Remember he was entrant #2 in 2006 and won the whole thing. Then there is Daniel Bryan who has been cleared by many doctors to return to the ring, but NOT cleared by WWE’s main doctor. If he was cleared this week or last, he could very well show up tonight, which would have the WWE universe implode on itself. We could also see the return of either Edge, Christian, and The Hardy Boyz. Again, very unlikely, but you never know. I mean, the Dudley Boyz came back last year and have been in the WWE again ever since. The last thing I’ll say here, is that I wish the Divas had their own Royal Rumble match. It needs to happen. Maybe next year. Tune in tonight on the WWE network at 630pm CT for the 2016 Royal Rumble and be sure to follow me over at TWITTER for live commentary and videos. You’ll be sure to laugh, cheer, cry, and hurl. This entry was posted on Sunday, January 24th, 2016 at 11:18 am	and is filed under Events, News. You can follow any responses to this entry through the RSS 2.0 feed. You can skip to the end and leave a response. Pinging is currently not allowed. « Well Go USA Cuts the Cable Cord for Fans!